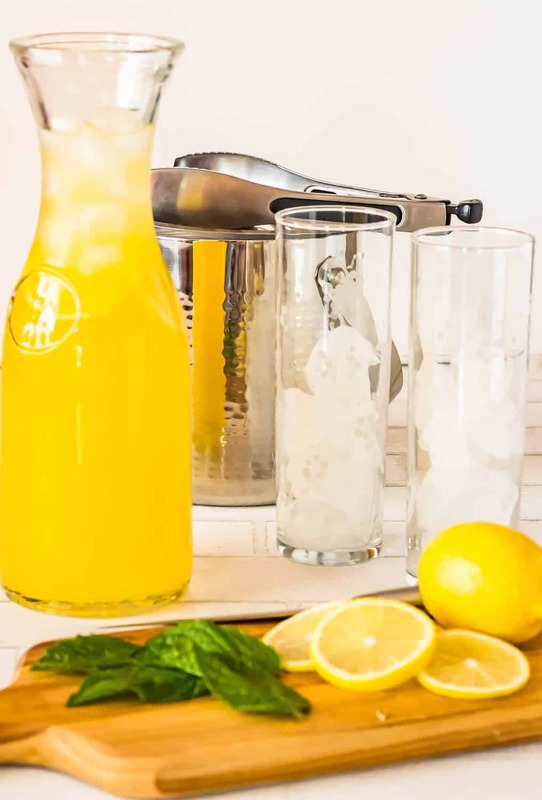 A super summer sipper (I love the alliteration 😀 ), Pisco Lemonade with Lemongrass and Mint requires a couple of fresh ingredients, a bottle of pisco, and a few minutes of “active” time… It’s a perfect hot-weather adult beverage, but leave out the pisco, and it’s bound to please young and old alike! 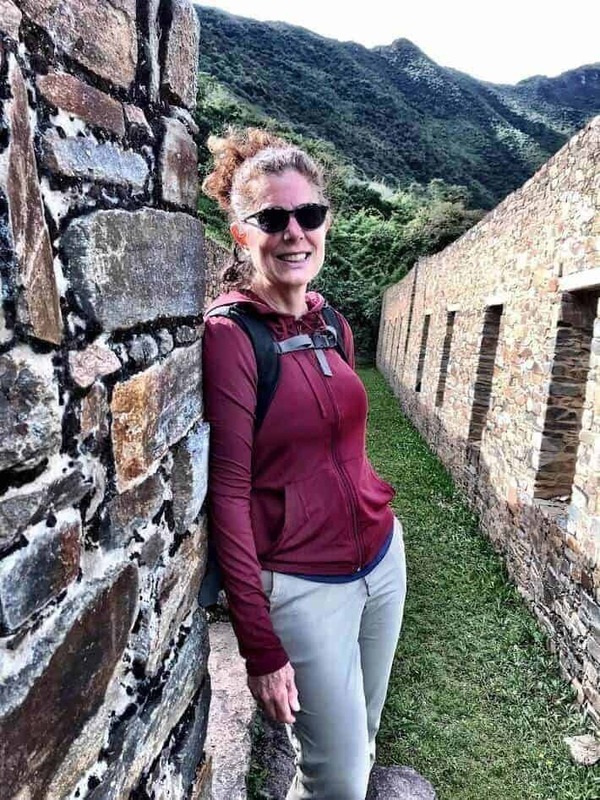 Having spent both June 2017 and June 2018 in Peru, I have come to love this beautiful and diverse country. It tugs at my heartstrings. In some small way, I feel Peruvian. Peru “owns” pisco, and please don’t let anyone say otherwise! 😆 Chileans may lay claim to pisco (and they market it as such), but pisco is like champagne. You can’t call it pisco if it’s not. The end. For more on pisco see The Complete Guide to Pisco. Pisco is a colorless or light yellow to amber colored brandy (a liquor distilled from wine or fermented fruit juice). It is made from grapes grown in Peru, and by regulation cannot spend any time in wood at all unlike whiskeys, brandy, and rum . Rather it must be aged in a non-reactive container such as stainless steel or glass. The pristine grape flavor shines through in Pisco, and makes it a very versatile base for cocktails. Pisco isn’t just for pisco sours anymore. 😉 Sip it neat, or try it in a Chilcano de Maracuya (A Pisco and Passionfruit Cocktail) a A Blood Orange Pisco Cocktail, or a Cupid’s Cup. 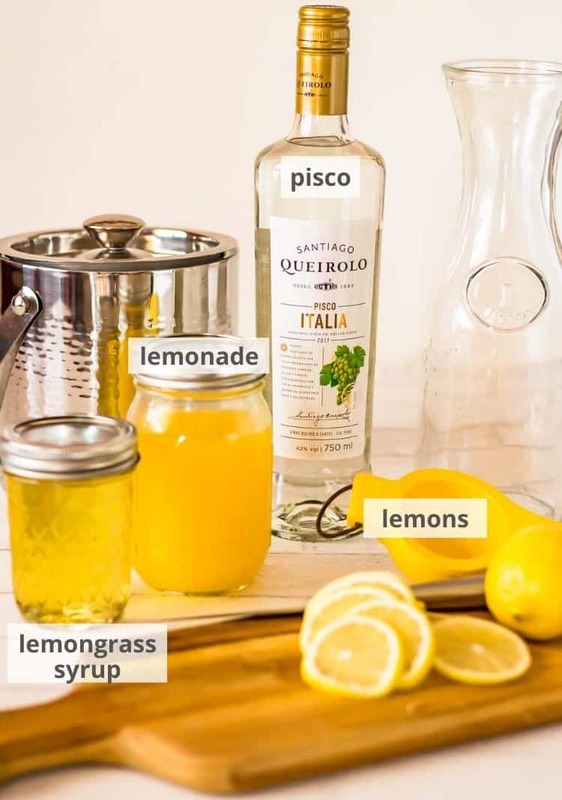 My Pisco Lemonade with Lemongrass and Mint really is a lemonade with pisco to add a delightful complexity to the flavor. Omit the pisco for a family-friendly version. A lemongrass simple syrup provides herbal sweetness, and I suggest you taste and adjust accordingly. The syrup can be made on the cooktop, or you can try the no-heat method I discussed in my Jalapeño-Cucumber Fizz Mocktail post. See notes in the recipe! You can also purchase commercial lemongrass syrup. Squeeze fresh lemons for goodness sake! 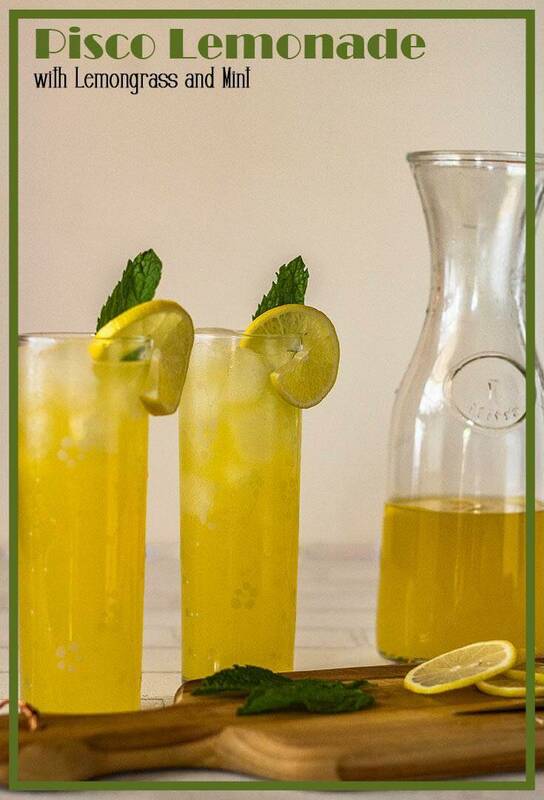 Get a citrus squeezer and make quick work of about 12-15 lemons… Start with about 1/3 cup of lemongrass syrup, and add to taste. We hit 104° in McAllen, TX. yesterday (“real feel” 117°), and we’re headed to 108° today. I’m thinking it’s a good time to start squeezing lemons! 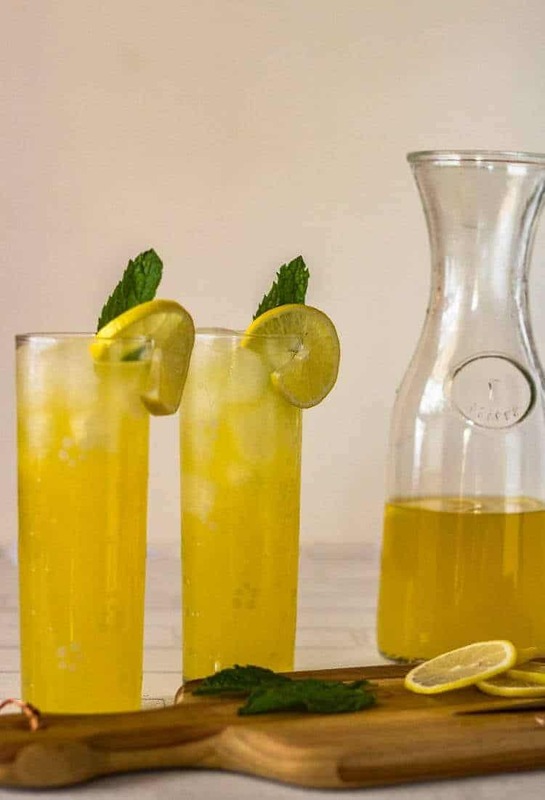 A super summer sipper, this pisco cocktail requires a couple of fresh ingredients, a bottle of pisco, and a few minutes of "active" time... It's a perfect hot-weather adult beverage, but leave out the pisco, and it's bound to please young and old alike! 1 1/2 cups fresh squeezed lemon juice, please use fresh! 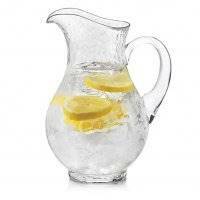 Combine lemon juice and water in pitcher. Starting with 1/3 cup of syrup, taste for sweetness and adjust. Add ice to pitcher if desires. 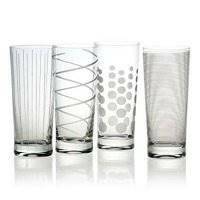 Pour into highball glasses half full of ice. Garnish with a couple of sprigs of fresh mint and a lemon slice. Enjoy! As I mention in the post, you can make the Lemongrass Syrup on the cooktop, or use the no-heat method. You can also purchase the syrup. Keep in mind cooling time if you cook it, and curing time if you do the no-heat method or this no-heat method. (I make it the day before, and store it in the refrigerator until I need it). My husband and I prefer tart to sweet, and we add about 1/2 cup of syrup to 4 cups total liquid. I recommend having 1 cup available so you can adjust to your preference (if you like it sweeter). 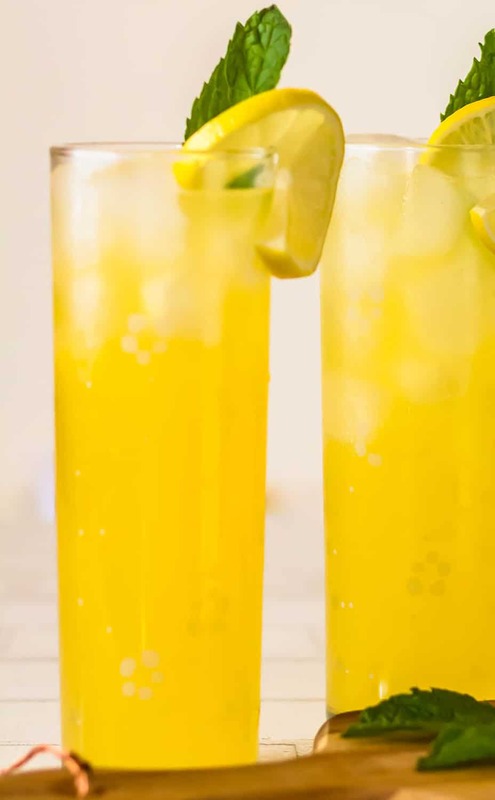 You can leave out the pisco for a mocktail version, or substitute vodka or brandy if you can't find pisco. The calories are only an approximation. Your calories will depend on the amount of sweetener you use. 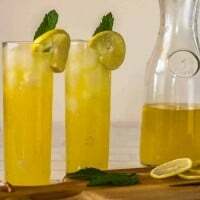 This is such a good cocktail recipe. Recipes featuring pisco always remind me of Peru, and make me want to go back. I hear you darlin'! June 2019!